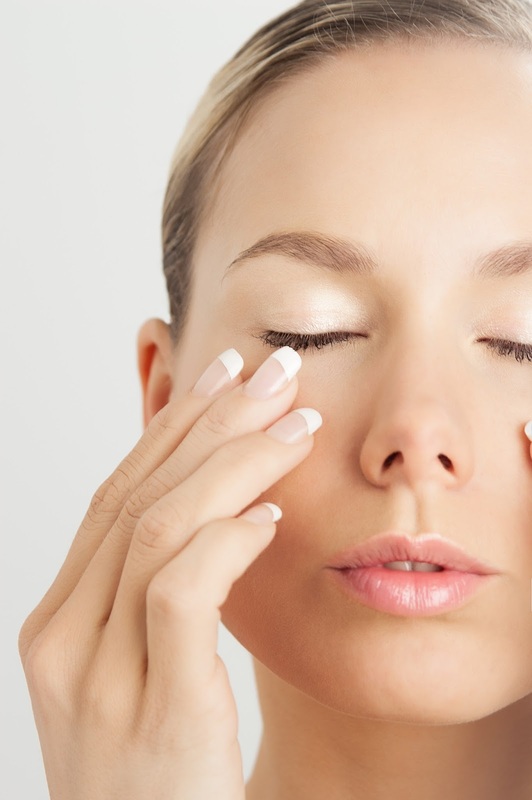 Give your eyes the refreshed look they deserve by alleviating dark circles and giving those bags the boot. We can’t always prevent our body’s natural reaction to our hectic schedules and response to tiredness, but we can at least find ways to help keep it from affecting our appearance. Many different variables can contribute to the cause of tired eyes, such as seasonal allergies that trigger the release of histamines in the body, which in turn can inflame blood vessels and cause swelling. Genetics can also have a hand in causing dark circles. If you inherit thin under eye skin it can be more evident when blood accumulates there from slowed circulation. Also, age is a key player in the cause since over time skin naturally loses collagen and thins, which will more prominently expose veins. You may want to try doubling up on pillows for added support when you sleep to keep blood from building up under your eyes. When you wake up, try applying a cold compress, such as frozen spoons underneath your eyes for about five minutes to constrict the blood vessels. You can also try using an eye cream with caffeine before calling it a night. You can always opt for the temporary method of covering up with makeup. Use a concealer a couple shades lighter than your natural skin tone, and apply a powder the same shade as your skin over top. No need to get crazy with highlighter, just a quick fix. For most of us, having thin skin is the overriding issue and cause of dark circles. Try implementing a collagen-building cream into your beauty regime to help restore your skin. We recommend using one with retinol. Here at The SHAW Center we carry the ZO Skin Health product line, which typically employs this ingredient for anti-aging purposes. The SHAW Center also offers eyelid surgery, which is a procedure that can create more youthful looking eyes. It removes excess eye skin, muscle or fat deposits to address sagging eyelids or bags beneath the eyes.